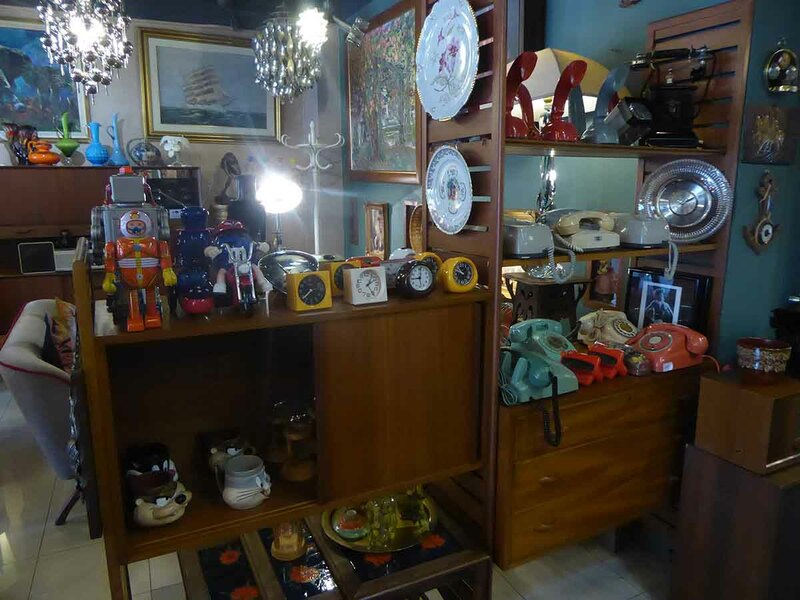 Bangkok is a retro collectibles heaven. 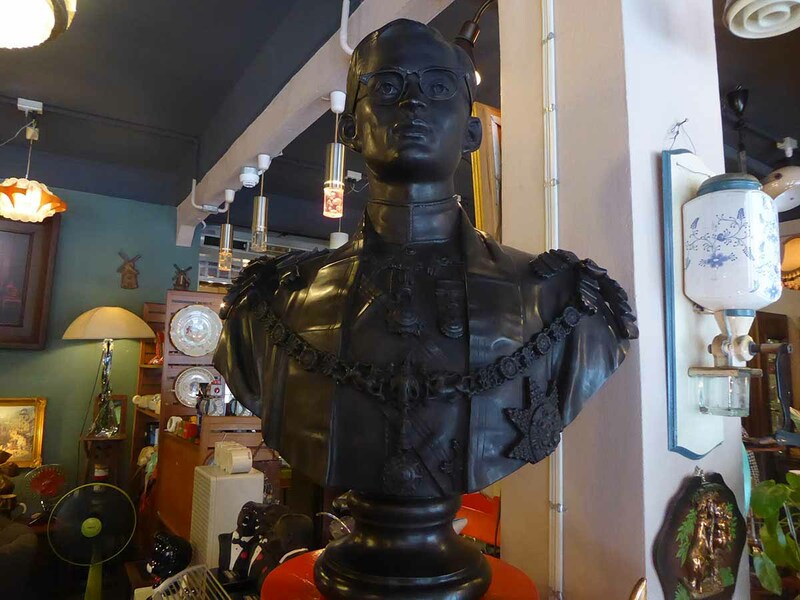 There are several cool vintage & retro shops in Bangkok selling rare collectible items from the 50’s to the 90’s. 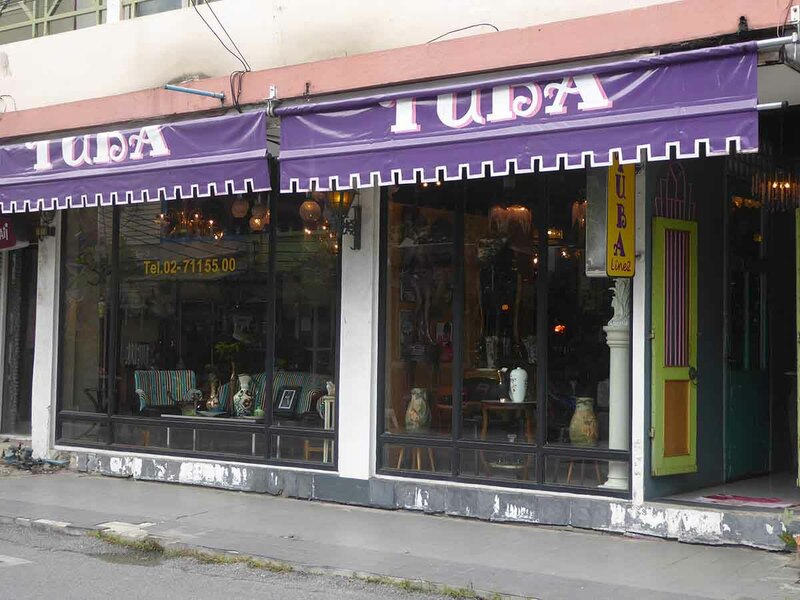 Tuba is an antique shop specializing in retro furniture, decorative objects, and memorabilia mainly from the 50’s, 60’s and 70’s. 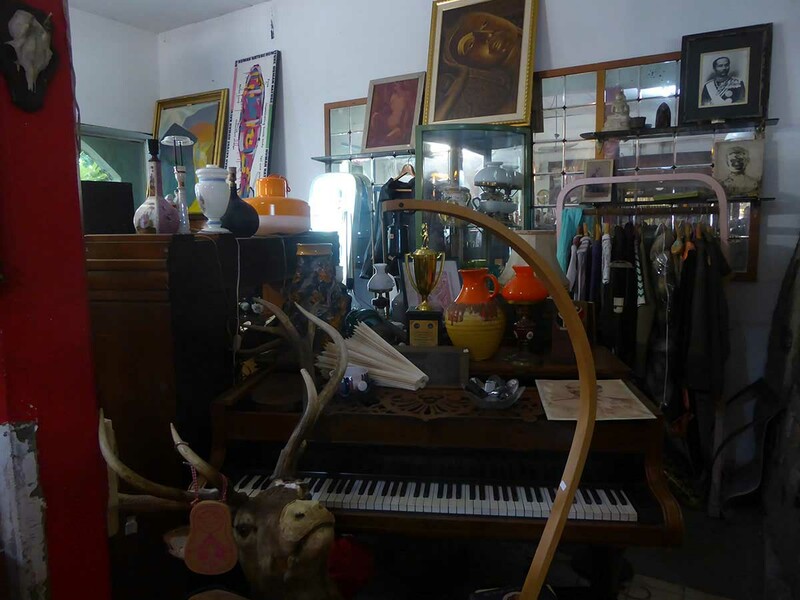 Inside you will find hundreds of pieces including audio and radio equipment, vinyl records, books, bottles, vases, cabinets, tables, chairs. 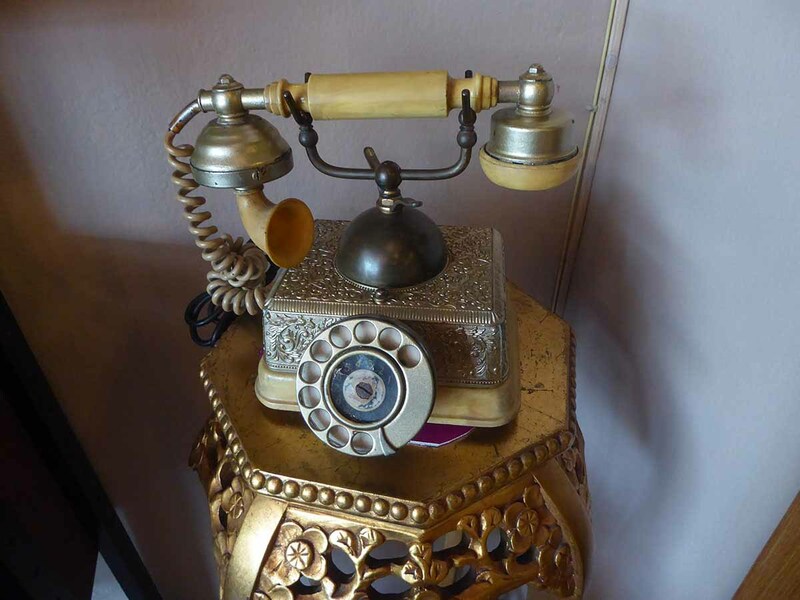 Also, ceramics, retro signs, collectible items, paintings, lamps, luggage, puppets, toys, telephones, watches, TV’s, clothes and loads more. Everything is nicely arranged and presented. Nothing has a price tag so you must ask and bargain. The small square opposite the shop is home to Tuba Restaurant and gallery which serves International food. 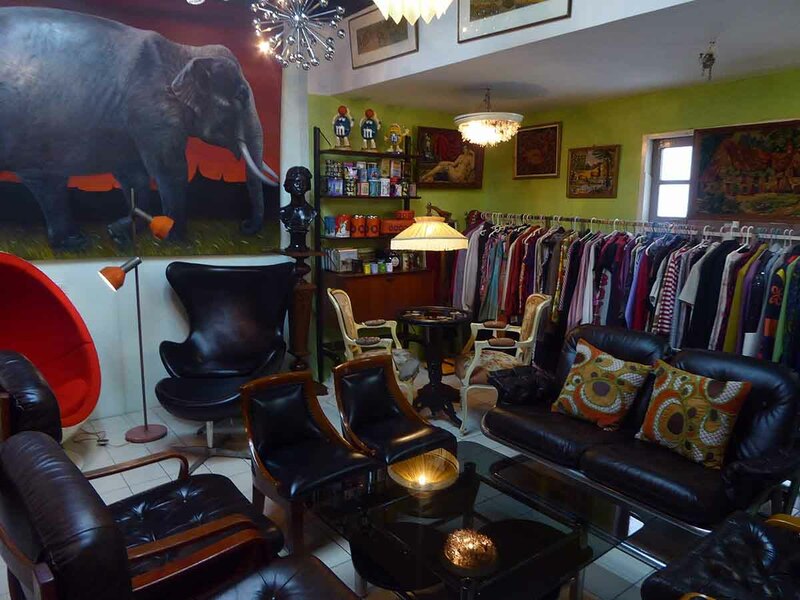 The restaurant, furnished and decorated with retro items and paintings some of which are for sale. The bar is open until 2 am and has a great happy hour between 17.00-20.00 daily. 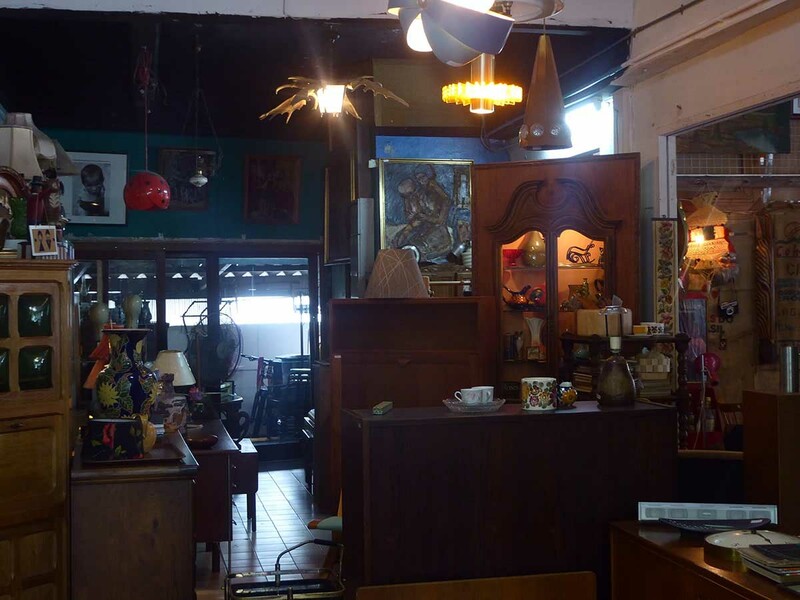 Tuba also has a large warehouse full of even more retro items on Lad Phrao Soi 55 called Papaya Vintage. Location: Sukhumvit 63 (Ekkamai), Soi 23, Bangkok. BTS: Ekkamai Station. Then take a taxi to Ekkamai Soi 23. 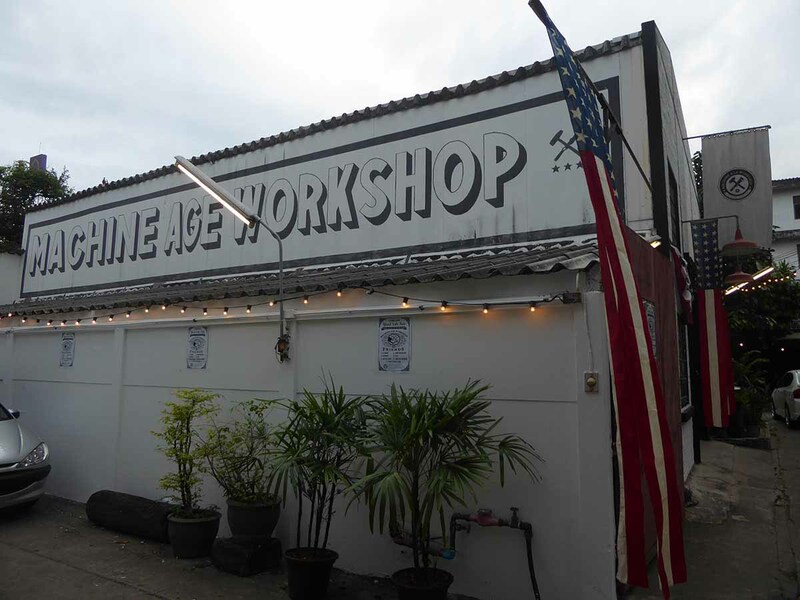 Machine Age Workshop specializes in restoring vintage American industrial age artifacts dating from the late 1800s to the mid-1900s. 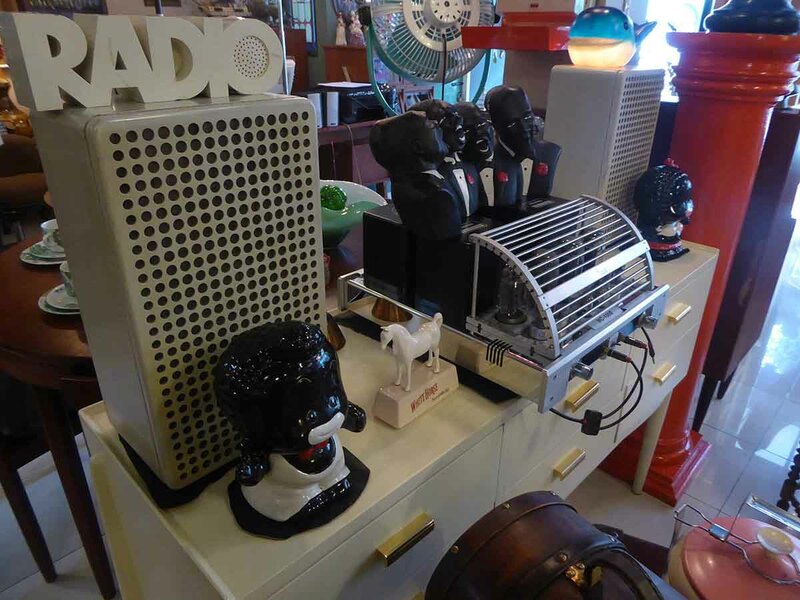 The showroom features many unique items such as old factory lamps, Toledo stools, pre-world war 2 furniture. 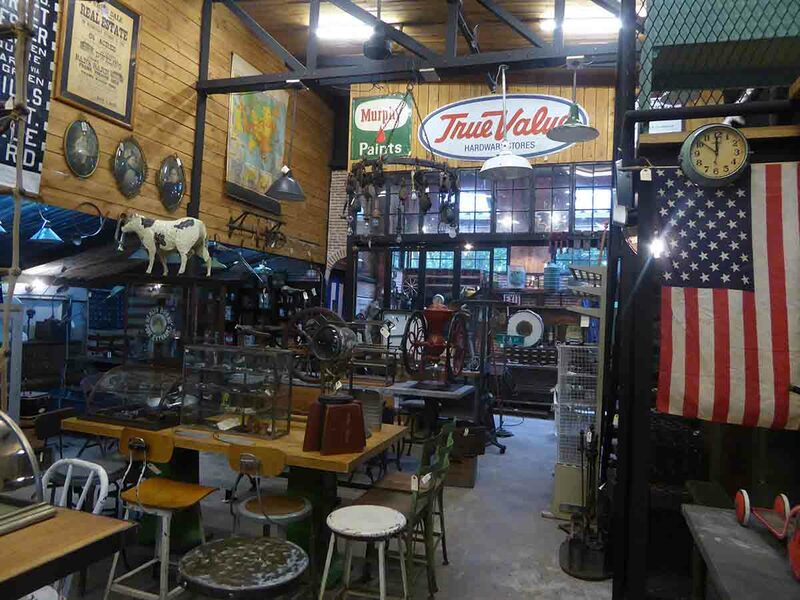 A US army drafting table, vintage barn doors, wooden radios, clocks, & various machines. Also, old signs, leather luggage, stuffed animals and even a vintage movie camera. 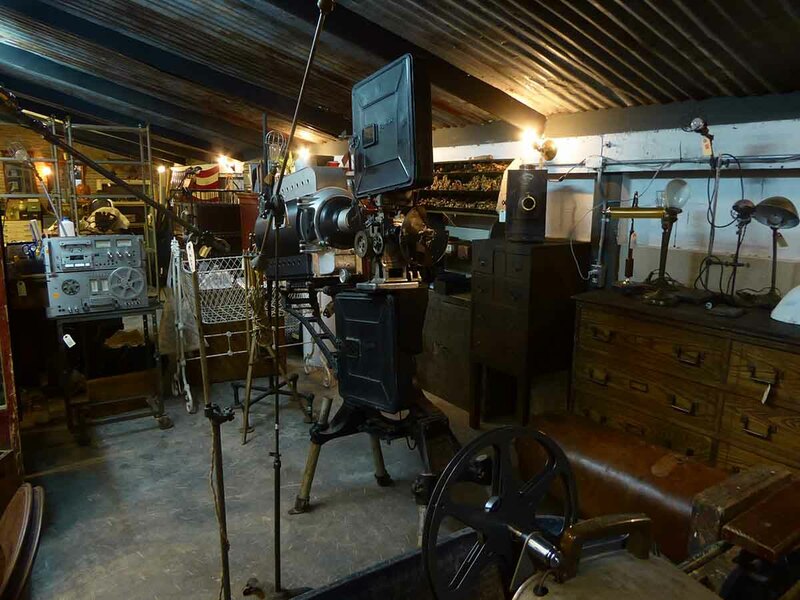 There are workshops inside the showroom where you can see the restoration work. 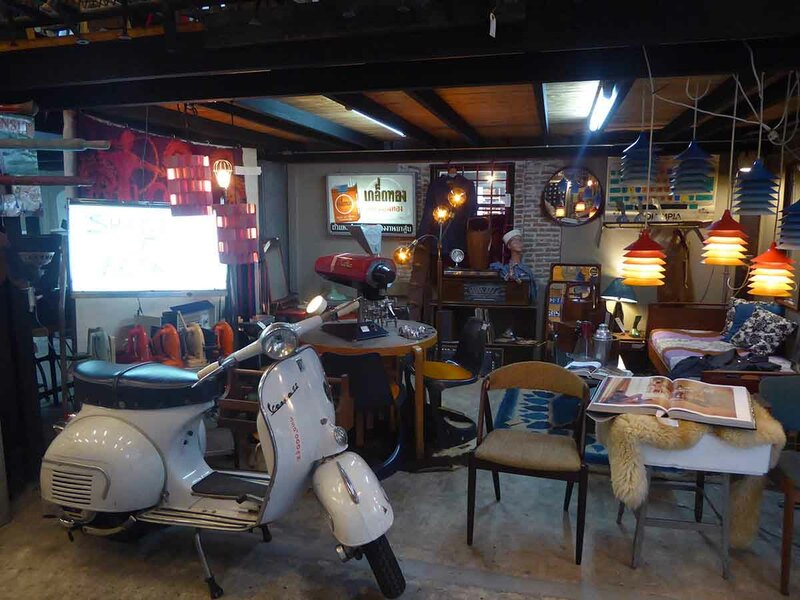 There are also some vintage Thai and European items including an old Vespa scooter. 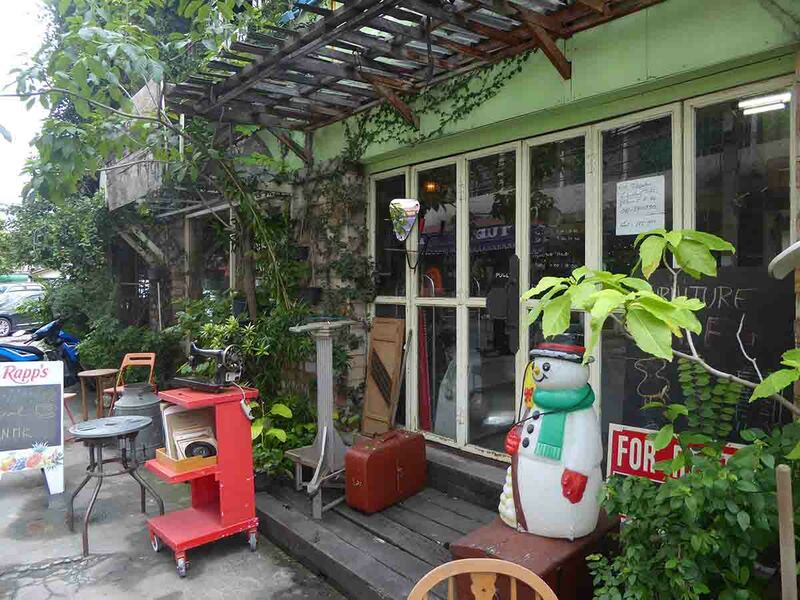 Location: 281/1 Ekkamai Soi 15 (Sukhumvit Soi 63). 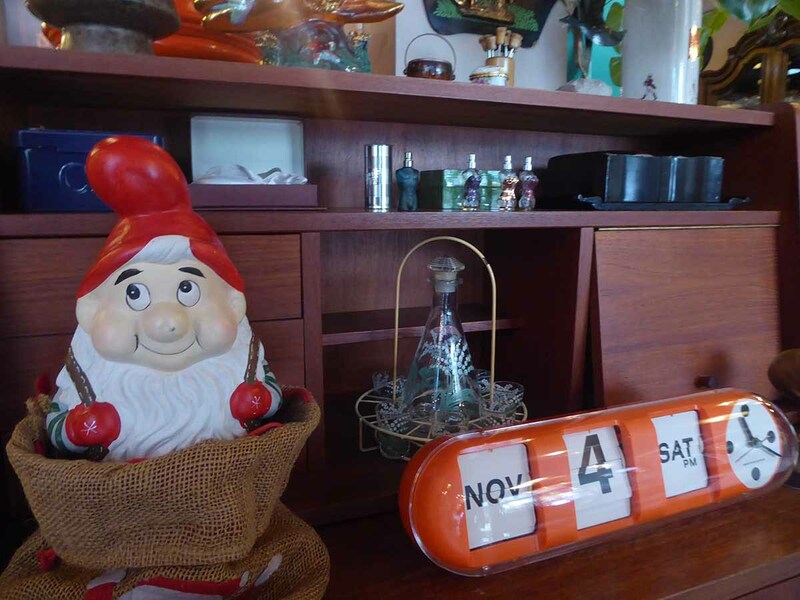 Opening Hours: 10.00-19.00 Tuesday-Sunday. Closed on Monday. Getting There: BTS Ekkamai (exit 1). Turn right into Sukhumvit Soi 63. 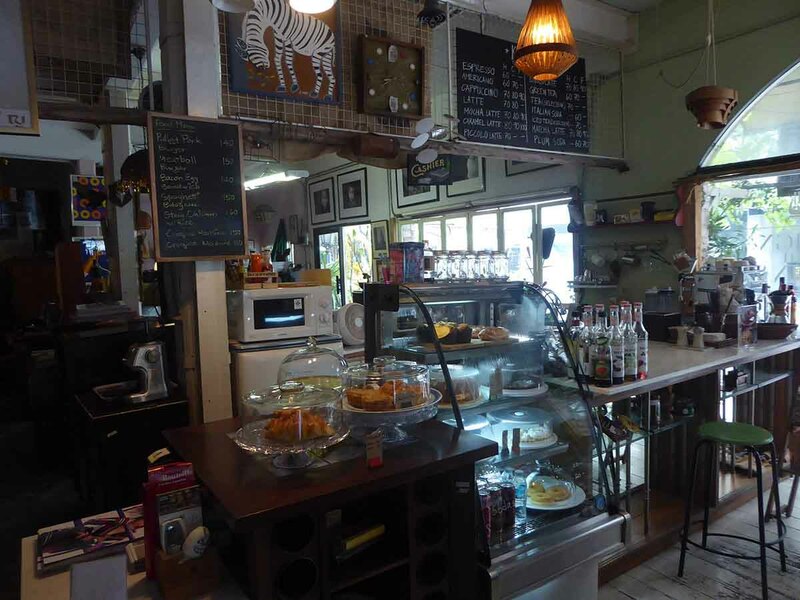 The workshop is a 15-minute walk on the left-hand side or take a taxi (about 40-60 baht depending on traffic). 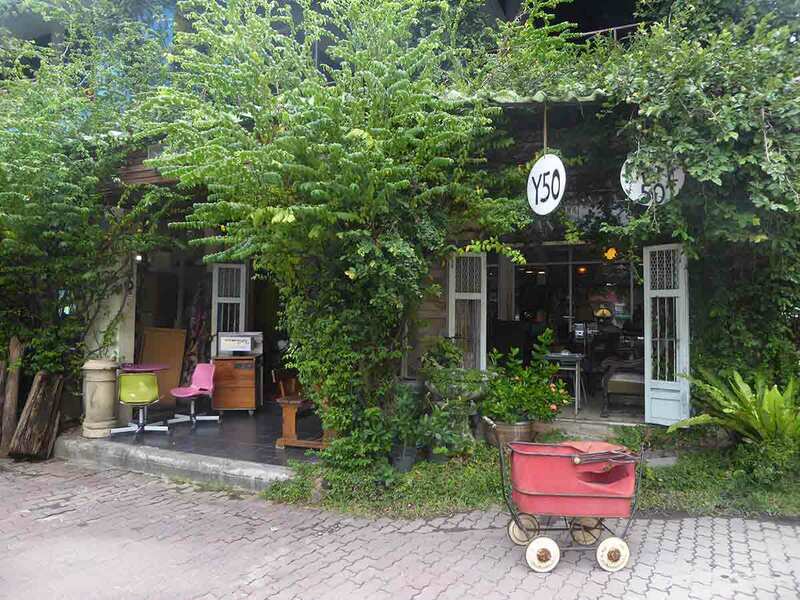 Y50 is a retro antique, vintage and furniture shop on Ekkamai 21 opposite Tuba. 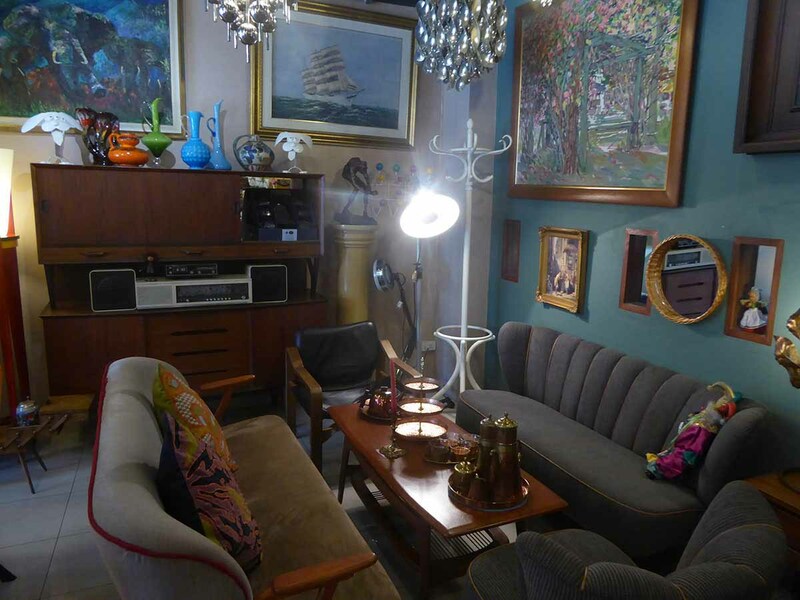 It specializes in mid-century modern furniture much of it imported from Scandinavia. Inside you will find a large range of items spread over 2 floors. 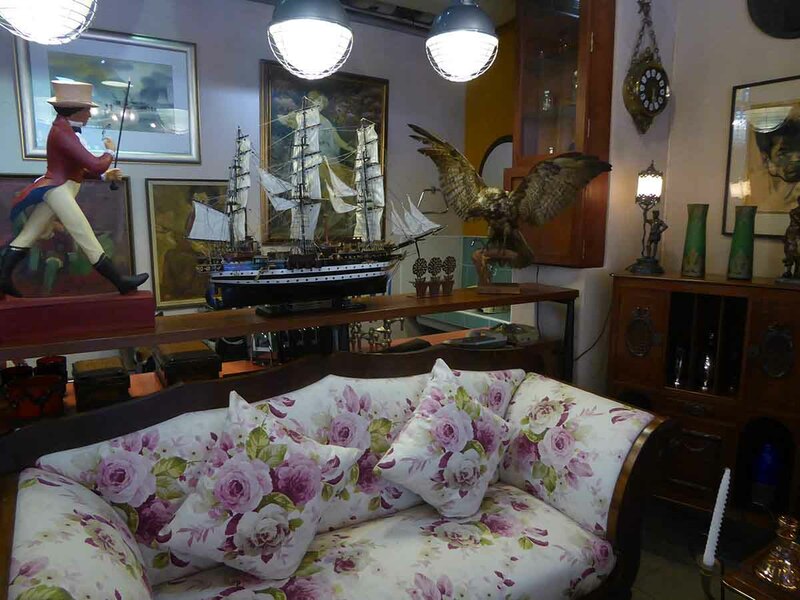 There is furniture, ceramics, sculptures, paintings, decorative objects, vinyl records. 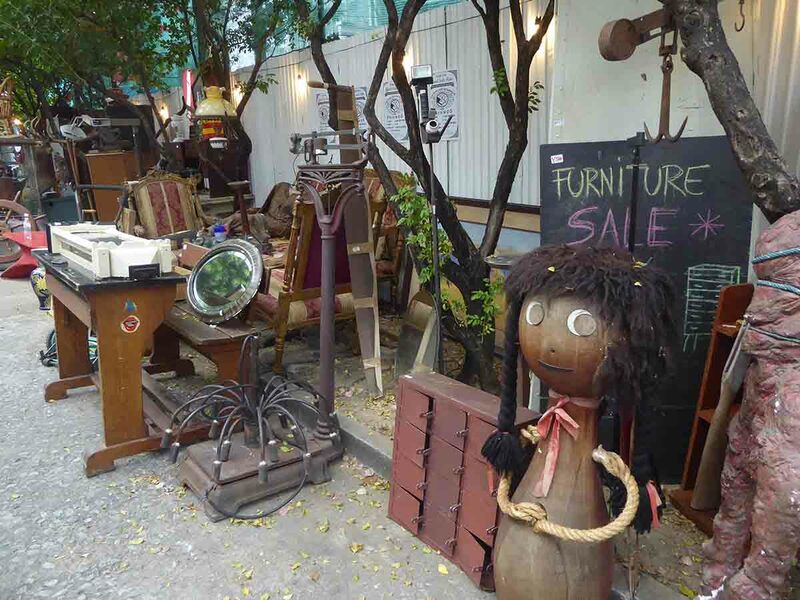 Also, luggage, lamps, clocks, bicycles, clothes, stuffed animals, retro signs, musical instruments and more. There is also a nice quiet cafe serving food and drinks. BTS: Ekkamai Station. Then take a taxi to Ekkamai Soi 21.